Ron Wilson is officially out as the Leafs head coach. Former Anaheim Ducks coach Randy Carlyle will now take over the bench duties for the team. This was inevitable. 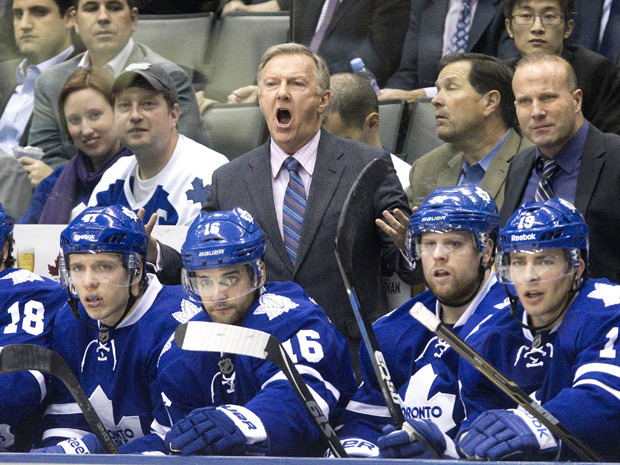 Ron Wilson’s tenure in Toronto was mediocre at best. He had coached 310 games for the team and only achieved victory in 130 of them. He failed to take the Leafs to the playoffs even once during his 3 1/2 year stint with the franchise. The problem I have with Wilson’s dismissal is the timing of the decision. There are only 18 games left in the regular season. Despite being 3 points out of the final playoff spot, the Leafs are still only 12th in the entire conference. In order for Toronto to qualify for the playoffs as the final seed, they would have to pass Buffalo, Tampa Bay and Washington. GM Brian Burke attributed part of his decision to fire Wilson to the chants of rowdy and unsatisfied Leaf fans during the team’s home games. FI-RE WIL-SON!! “clap clap, clap clap clap” FI-RE WIL-SON!!! Burke and Wilson have always had a close relationship dating back to their days as teammates on the Providence College hockey squad. Burke couldn’t stand to see Wilson face such horrible public ridicule any longer. The firing was more than likely going to occur regardless, but the timing of the matter shows that Burke wanted to put Ron out of his misery sooner rather than later. Even though Wilson deserved to get canned, ultimately all he was is a scapegoat for a team and talent roster that has grossly underperformed this season. Could Ron Wilson play goalie? Toronto has some of the worst goaltender play in the entire National Hockey League. The Leafs currently sit at 27th for goals allowed with 198 and goals allowed average with 3.01 per game. Brian Burke needs to address this issue fast as it looks like neither Gustavsson or Reimer have a long-term future with this team. They both have shown signs of brilliance here and there, but would you want either man in net during a 7-game playoff series? There is some reason for optimism, at least when it comes to the young offensive skill players the team has. 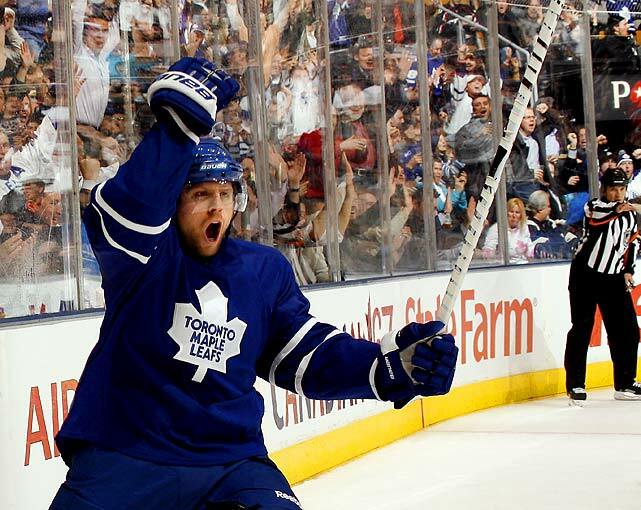 Phil Kessel and Joffrey Lupol are for real. Both sit near the top of the Eastern Conference in points with 68 and 66 respectively. What else is there around them though? Are those 2 enough to shoulder the offensive load for the Leafs? Of course not. This team is still 1 or 2 solid players away from truly being considered a real threat in the Eastern Conference. Kessel and Lupol need more around them to really help this team make a splash. This is a team that needs an extreme makeover from top to bottom. Ron Wilson needed to go, but the repairs that need to be made to this roster and franchise as a whole go way beyond just replacing the coach. 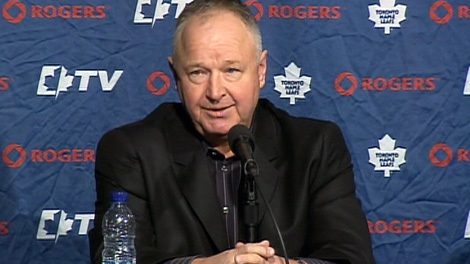 Selecting Randy Carlyle as the replacement is at least a good start. Randy has not endured one full season as either a player or a coach with a losing record. He brings over championship experience from when he coached the 2006-07 Anaheim Ducks to the Stanley Cup. As did Wilson, Carlyle also has a prior relationship with GM Brian Burke from his days with the Ducks. I like the move to have Carlyle step in as the coach, but in a perfect world he would have been brought in during the offseason so he could start from scratch with the players. Having him replace Wilson at this point of the year just puts unnecessary pressure on his shoulders. Fans are dying to see this team make the playoffs and they will expect results right away from a man who has been put into a dire situation. Burke did say publicly that if the team were to miss the playoffs, at least they would have a new coach in place that can evaluate the roster and have a head start on the 2012-13 season. That doesn’t sound very confident to me. 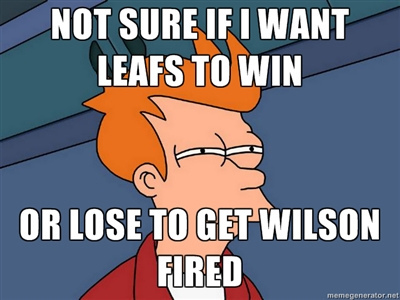 What’s the best case scenario for the Leafs? Is it the 8th seed in the playoffs? Do you really believe they would stand the slightest of chances against the Rangers in the first round? I don’t see that happening. The Leafs own one of the longest championship and playoff droughts in the entire league. Expect that to continue for the foreseeable future. This entry was posted in NHL and tagged Air Canada Center, Brian Burke, Canada, Entertainment, Hockey, National Hockey League, NHL, Phil Kessel, Randy Carlyle, Ron Wilson, Sports, Toronto, Toronto Maple Leafs. Bookmark the permalink.